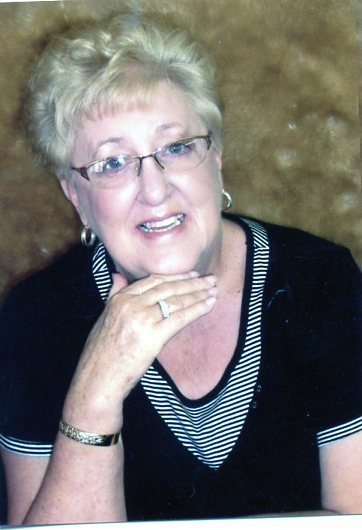 Fuquay Varina, NC: Mrs. Jo Ann Lee Sutton, age 75, of 270 Atkins Place, died Sunday, March 31, 2019 at Wake Med in Raleigh. Funeral Service will be 2:00 PM, Thursday, April 4, 2019 at Rose & Graham Funeral Chapel in Benson. Revs. Leon Tart and Dale Wallace will officiate. Entombment will follow in Roselawn Cemetery in Benson. Mrs. Sutton was born December 22, 1943 in Johnston County to the late David Olen and Vida Belle Jernigan Lee. She was also preceded in death by her brother, Sherwood Lee. Mrs. Sutton was a self-employed hairdresser and attended Angier Church of God. She was the best woman you could ever meet and has know gained her wings. Mrs. Sutton was a wife, mother, granny and sister whom always brought love and happiness to everyone she met; however, she was a very independent lady. Surviving include her husband of 57 years, Rodney Sutton; daughter, and son-in-law, Lee Ann and James Brown of Benson; son, Chris Sutton of Benson: grandchildren, Brittany Barefoot and husband, Clinton; and Tyler Sutton and Fiancée, Haley Vega; great-grandchildren, Jax Dickens, Avana Dickens, Rhett Sutton, Connor Barefoot and Cayden Barefoot; brother, Glenn Lee and wife, Pam of Benson; several nieces and nephews. The family will receive friends 6:00PM-8:00PM Wednesday, April 3, 2019 at Rose & Graham Funeral Home in Benson and other times at the home of Brittany Barefoot, 671 Clayton Road, Angier, NC 27501. Flowers are welcomed; however, memorials may be made to Angier Church of God, 886 Circle Drive, Angier, NC 27501.